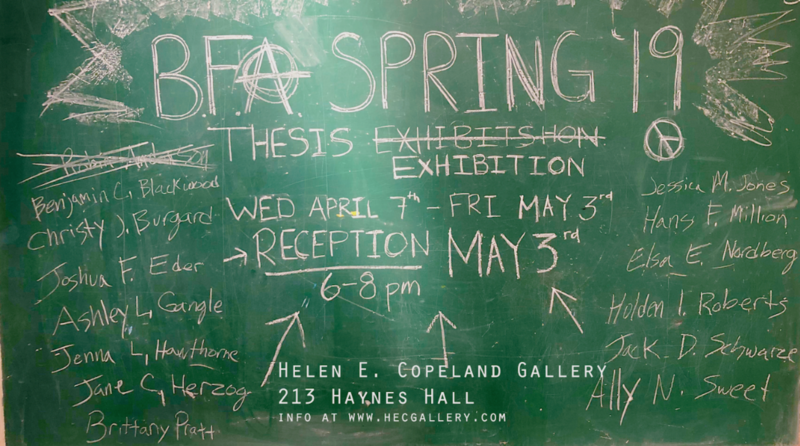 Montana State University School of Art and the Helen E. Copeland Gallery invite the public to the premiere of “Appropriate Disruptions”, an MFA thesis exhibition by artist LA Hoffman. The exhibition comprises silkscreen work created for the completion of Ms. Hoffman’s degree of Master of Fine Arts at Montana State University – Bozeman and brings together the new work from her cumulative years at MSU. The exhibition dates are Monday March 28 – Friday April 1, 2011, and it is free and open to the public, Monday through Friday, 9:00AM – 5:00PM. There will be an opening reception on Thursday March 31 from 7-9PM. The Helen E. Copeland Gallery is located within The School of Art’s Haynes Hall, on the second floor. Hoffman is known for her hyper-prismatic color palette and often graphic work. She sees patterns in the ways people interact and the elements that make up life stories. Her work often falls into the category of pop-art and can take on a sketchbook/graffiti sensibility. Her work deals with hiding and reveling information; sometimes playing with the sheen and flatness of paints to obscure images. A fierce feminist, Hoffman strives to both be a student of history and a leader in the present by asking questions of herself, as well as, questioning the assumptions around her. The artist says she is “currently self-identified as a third-wave feminist, I’m wondering at the emergence of a new fourth-wave”. Next postEmily Browne – here we are.